“Command of the air is a necessary and sufficient condition of victory.” Giulio Douhet, The Command of The Air, 1998. Air supremacy is paramount to any military operation. Air superiority fighters are designed to enter and seize enemy airspace to establish complete dominance over the enemy’s air force. They are designed primarily to engage enemy airborne fighters. Flown by singularity trained air-to-air pilots. Air-to-air operations are the targeted destruction of enemy airborne aircraft. An air superiority fighter must be specifically designed for this role. Speed, agility and climb performance are essential. Air superiority fighters must carry lighter missiles designed to down enemy aircraft. The successful air superiority fighter must strike first in air-to-air combat. This requires the aircraft to have superior avionics and weapons to quickly and accurately deploy its arsenal. In any military, there must be pilots specifically trained for air-to-air combat. Without trained air-to-air pilots, these multi-million pound combat aircraft cannot be fully effective in combat. Air superiority is to gain control in as quick a way as possible an enemy airspace. Complete air supremacy means the enemy is incapable of conducting aerial operations, either airborne or surface-to-air. What makes a good air superiority pilot? Widely recognised as the most skilled fighter pilot, an aces-of-aces, respected by his enemies and a hero by his nation, is the German “Red Baron” Manfred von Richthofen. His success as a fighter pilot came through World War I, and was credited with 80 kills. Use surprise to get the upper hand. Once engaged, remain committed to the battle. Get close to the enemy before pulling the trigger. Keep your eye on the enemy at all times, even if you think he’s going down. Always get in behind your enemy. Point your plane at danger. Use caution, especially when over enemy lines. The McDonnell Douglas F-15 is widely regarded as the world’s premier air superiority fighter. There are many variants of the F-15, with the F-15C Eagle the current model for air superiority operations. Whilst the Lockheed Martin F-22 Raptor is the newest fifth generation stealth air superiority fighter, the F-15’s unparalleled history as a 104 kills to 0 losses ratio makes it a formidable fighter and the most feared aircraft to any enemy throughout the history of fighter jets. The F-15's have also been deployed in Bosnia, Afghanistan, Iraq, and Lebanon. 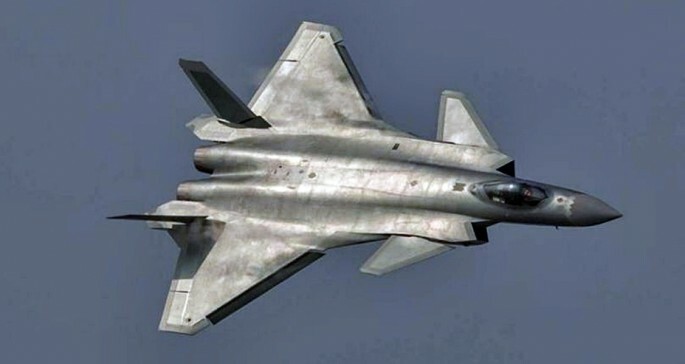 The Sukhoi Su-57 is a fifth generation stealth fighter designed for air superiority. It is the first Russian aircraft to use stealth technology. It has a high emphasis on speed, which allow it to respond quickly, or back out quickly from dogfights. The Sukhoi Su-57 is not yet operational, but is due to be operational in 2019. The Eurofighter Typhoon is claimed to be the world’s most advanced combat aircraft. With over 210,000+ flying hours, this combat proven aircraft has a 97% achievement rate in tasked operations. The Eurofighter Typhoon is a highly agile aircraft, designed for the purpose of air superiority, however upgrades have changed its role from air superiority to a multi-purpose fighter, with its use as air-to-surface as well as air-to-air. The latest generation of combat aircraft are the fifth generation, with only three currently operational. These are the Lockheed Martin F-35 Lightning II, Lockheed Martin F-22 Raptor and Chengdu J-20. The Sukhoi Su-57 has been planned to be fully operational in 2019.